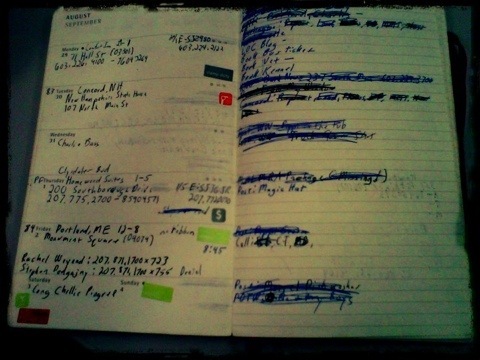 While I am a technology person, nearly inseparable from my Blackberry, I do also carry an “old school” date book. 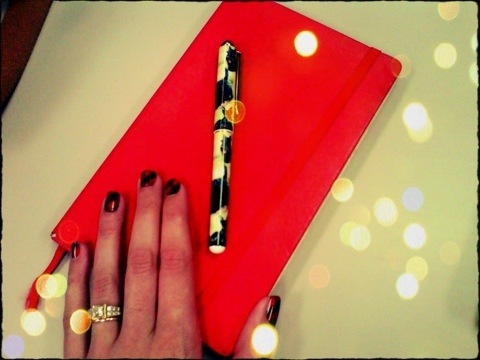 A hot little red number by Moleskine. Honestly I would be lost without it. A few months ago I misplaced it for two days and could hardly remember my name. It seems silly but there is something very satisfying about making lists and crossing off items. I get this from my Mother; she is a list maker and gets a little twinkle in her eye crossing items off. My notebook often looks like a mess with scribbles and reminder stickers; I have of a sense of pride with the amount of crap on the pages. Abigail, we are so much alike – even down to the pen we prefer and the color of notebook we choose. How satisfying it is to mark completed items off a list!! I knew you would like this one. SHE has a scottie calendar that SHE can’t do without. If it isn’t on the calendar, it is forgotten. SHE usually loses her lists!